Mini Land Ranch is a small hobby farm located in Southwestern Pennsylvania. We moved here in 2012. One of the most noteable features of this property was that it was 95% dense woods. After much thought and research, we decided goats would be our favorite option for clearing the vegetation. 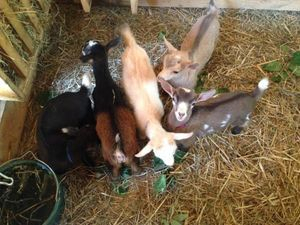 We looked at all the various breeds of goats and decided on Nigerian Dwarf goats. If we were going to get goats, we might as well get a dairy breed so that we could harvest their milk. Two years later, our sister company was formed, Log Cabin Naturals. We create goat's milk products such as soaps and lotions. Of course we make any number of other products such as cheeses, yogurt, ice cream, you name it! 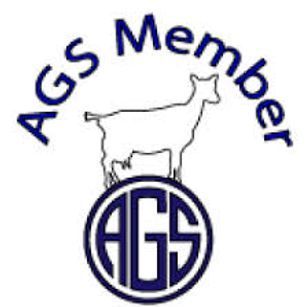 All of our goats are ADGA and AGS registered. 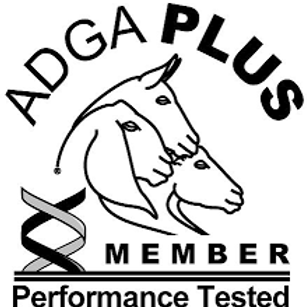 Fall 2017 we are entering our dairy herd into Adga's Performance Programs. We will be using Dairy One to do our milk testing. Summer 2018 is on track for LA scoring. Our entire herd is tested annually for Johnes, CAE and CL. Pennsylvania is a Brucellosis and Tuberculosis free state. We have never had any of these diseases on our farm. Last testing was done May 2018. The goats are our main focus, but we have a few other critters that also make their home here. We have a mini donkey, Clarabelle, who lives with the does. We have a dozen or so mini bantam chickens and a few bearded silkies that free range. We have a dwarf Juliana boar pig and a pair of Welsh Harlequin ducks. We have a trio of ABCA registered traditional black and white border collies. We have one litter approximately every 6-8 months. If you would like to schedule a visit or have some questions about our animals, please go to our communication page and drop us a line! The pages of this website were specifically created for use by MiniLand Ranch. Please do not copy any of our pictures or content without our written consent.